Είναι απόλυτα ασφαλές να χορηγείται εμβόλιο γρίπης σε ασθενείς με αλλεργία στο αυγό. Υπάρχει πληθώρα επιστημονικής απόδειξης ότι δεν υπάρχει πλέον κανένας περιορισμός στην χορήγηση του εμβολίου, δεδομένης της πρόληψης της σοβαρής γρίπης που επιφέρει σοβαρή νοσηρότητα σε ευαίσθητες ηλικιακές ομάδες αν αυτοί ο ασθενείς δεν προφυλαχθούν με το εμβόλιο γρίπης. For many years, allergy to egg was considered a contraindication to receiving the influenza vaccine. This contraindication was based on the fear that administering a vaccine that was grown in eggs and could contain egg protein might cause anaphylaxis in patients with immunoglobulin E antibodies against egg proteins. Fortunately, there is a good evidence base that shows that administering influenza vaccine to patients with egg allergy is safe. This is extremely important information, because it is estimated that there are about 200,000-300,000 hospitalizations annually because of influenza. 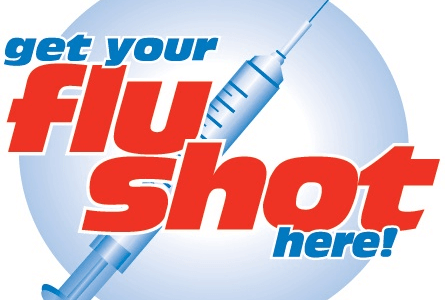 For the 2012-2013 influenza season, the CDC estimated that the flu vaccine prevented 6.6 million cases of influenza, 3.2 million doctor visits, and 79,000 hospitalizations. There were 170 pediatric deaths from the flu during the 2012-2013 influenza season (MMWR Morb Mortal Wkly Rep. 2013 Dec 13;62:997-1000). The need for widespread vaccination is great, and decreasing the number of people unable to receive the vaccine is an important goal. There are many studies in children and adults that show that those with egg allergy can be safely vaccinated with influenza vaccine. Dr. John M. James and colleagues reported a study of mostly children with egg allergy confirmed with skin testing (average age of the study group was 3 years) receiving influenza vaccine (J Pediatr. 1998 Nov;133:624-8). A total of 83 patients with egg allergy received the vaccine (including 27 patients with a history of anaphylaxis or severe reactions after egg ingestion). No patients suffered severe reactions with the vaccine, with only four patients having mild, self-limited symptoms. In another study, Dr. Anne Des Roches and colleagues performed a prospective, cohort study recruiting and vaccinating egg-allergic patients with trivalent inactivated influenza vaccine between 2010 and 2012 (J Allergy Clin Immunol. 2012 Nov;130:1213-1216.e1). In the second year of the study, the focus was on recruiting patients with a history of anaphylaxis or severe cardiopulmonary symptoms upon egg ingestion. In addition, a retrospective study of all egg-allergic patients who had received an influenza vaccine between 2007 and 2010 was included. A total of 457 doses of vaccine were administered to 367 patients with egg allergy, of whom 132 had a history of severe allergy. No patients developed anaphylaxis, and 13 patients developed mild allergiclike symptoms in the 24 hours after vaccination. In an authoritative review on the subject of influenza vaccination in egg-allergic patients, Dr. John Kelso reported on 28 studies with a total of 4,315 patients with egg allergy, including 656 with history of anaphylaxis with egg ingestion (Expert Rev Vaccines. 2014 Aug;13:1049-57). None of these patients developed a serious reaction when they received influenza vaccine. Dr. Des Roches and colleagues reported on a prospective, cohort study in which 68 children with previous egg allergy received intranasal live attenuated influenza vaccine (J Allergy Clin Immunol Pract. 2015 Jan-Feb;3:138-9). No patients had anaphylaxis or a severe allergic reaction. There were more adverse reactions in the patients with egg (7 patients) than in the control group (1 patient), but these were mild and nonspecific (abdominal pain, nasal congestion, headache, and cough). The 2012 adverse reactions to vaccines practice parameter update recommended that patients with egg allergy should receive influenza vaccinations (trivalent influenza vaccine), because the risks of vaccinating are outweighed by the risks of not vaccinating (J Allergy Clin Immunol. 2012 Jul;130:25-43). A subsequent recommendation takes this a step further, recommending that all patients with egg allergy of any severity should receive inactivated influenza vaccine annually, using any age-approved brand (Ann Allergy Asthma Immunol. 2013 Oct;111:301-2). In addition, there are no special waiting periods after vaccination of egg allergic patients beyond what is standard practice for any vaccine. Dr. Paauw is professor of medicine in the division of general internal medicine at the University of Washington, Seattle, and he serves as third-year medical student clerkship director at the University of Washington. Contact Dr. Paauw at dpaauw@uw.edu.